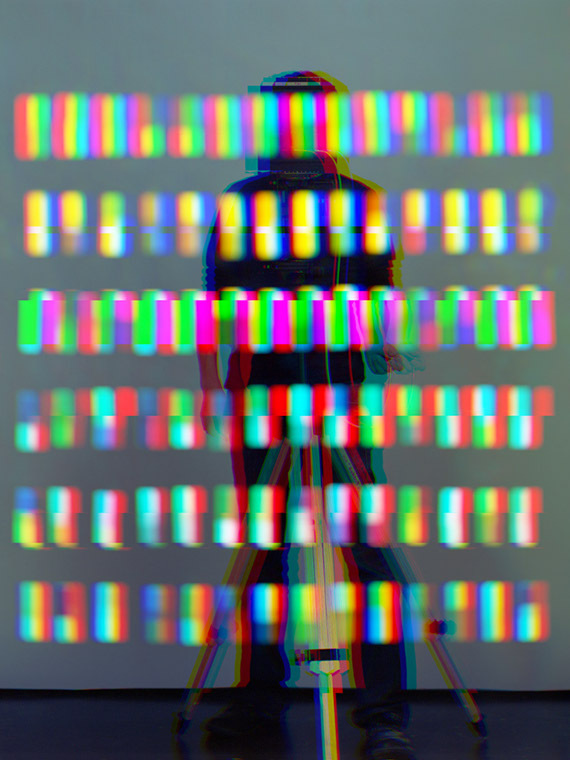 "While the images allude to formal abstraction with various shapes and colors, the photographic nature of the images are emphasized as the image plane is selectively focused and blurred through the use of depth of field. 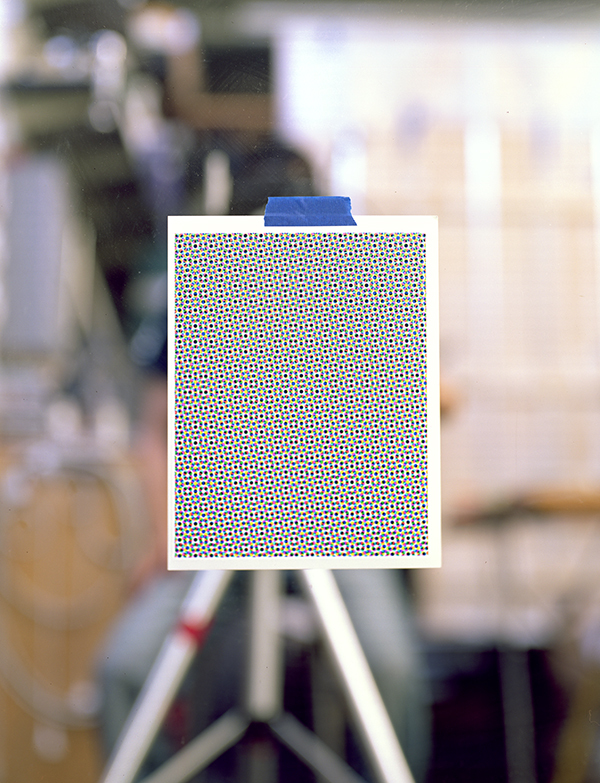 The usually referencelessness nature of abstraction is contradicted by the presence of minute details captured by the use of a large format camera such as dust and scratch marks found on the surface of the mirror or the texture of the tapes used which makes the images photographically real and almost sculptural. These images have a duality (and tension) of being simultaneously abstract and photographically real. Further, as with many of my other works the photographs expresses my interest in the effect of digital technology in photography and its aesthetic. For example the choice of red, green, and blue tape is based on the three primary colors that constitute a pixel. From a far the tapes can be seen as the pixels glowing on the computer screen. 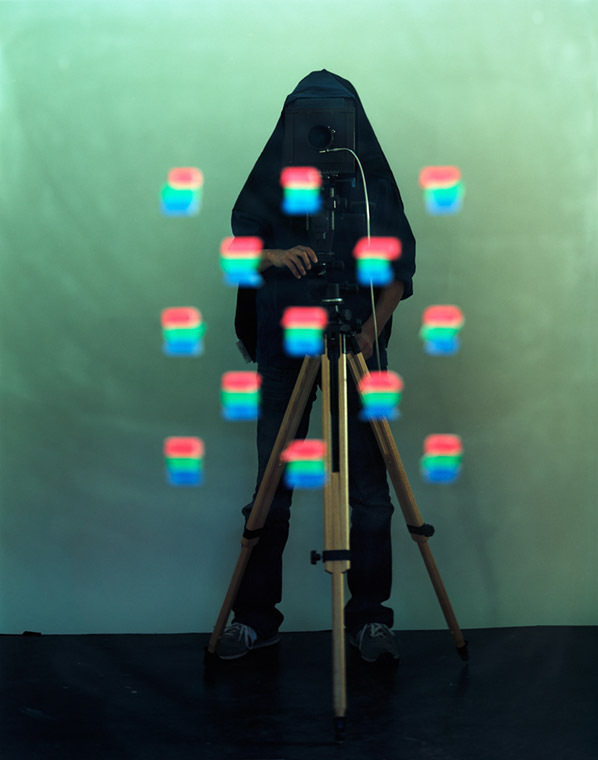 While the images are made using primarily traditional photographic methods, they reference the new aesthetic that seems to be emerging as a result of the use of digital tools and technologies. 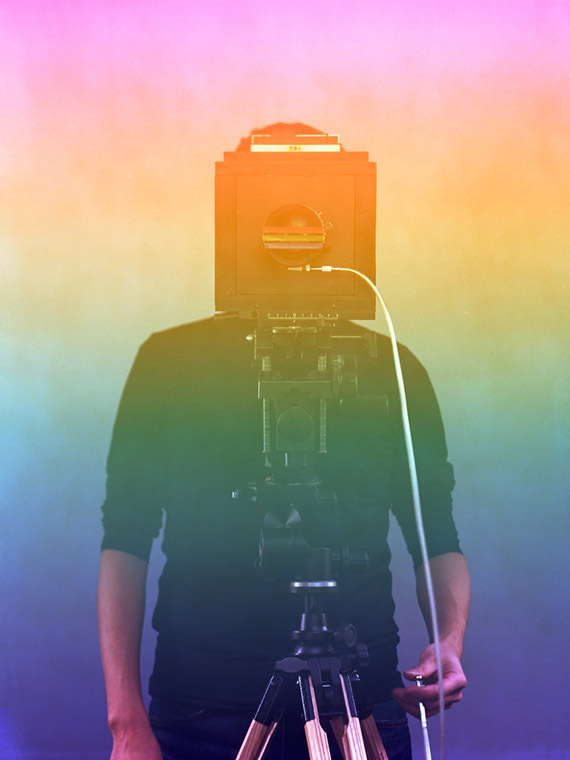 Seen in this context, by always including only the silhouette of the photographer with his camera, the images remind the viewers of the presence/absence of the producer/author and the method." "A "gray card" which has 18% reflectance is commonly used in photography as a reference to produce consistent exposure. We tend to think of gray, white, or black as neutral colorless color but in fact they are usually created using a combination of three primary colors. The piece "18% Gray" deconstructs this by effectively using depth of field, another photographic trope." 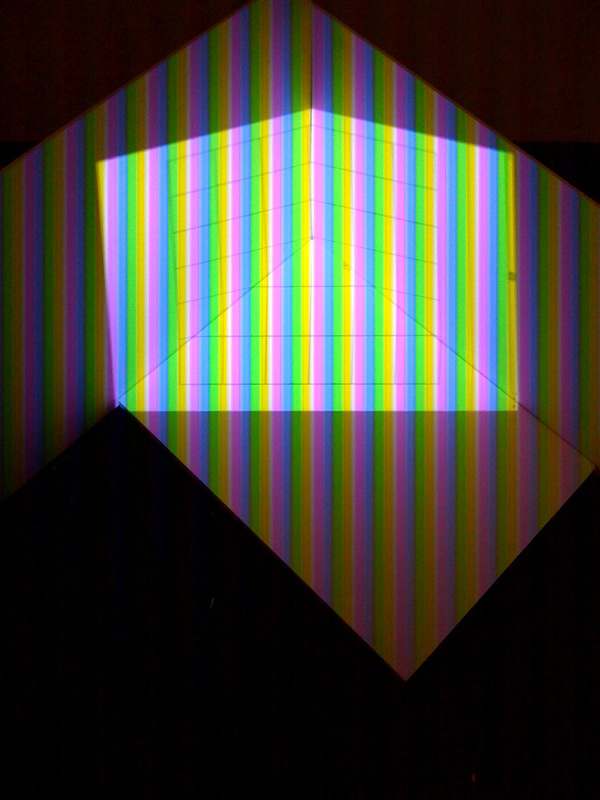 "An installation consisting of a physical object (cardboard), a projected image (of a grid), and a video camera. 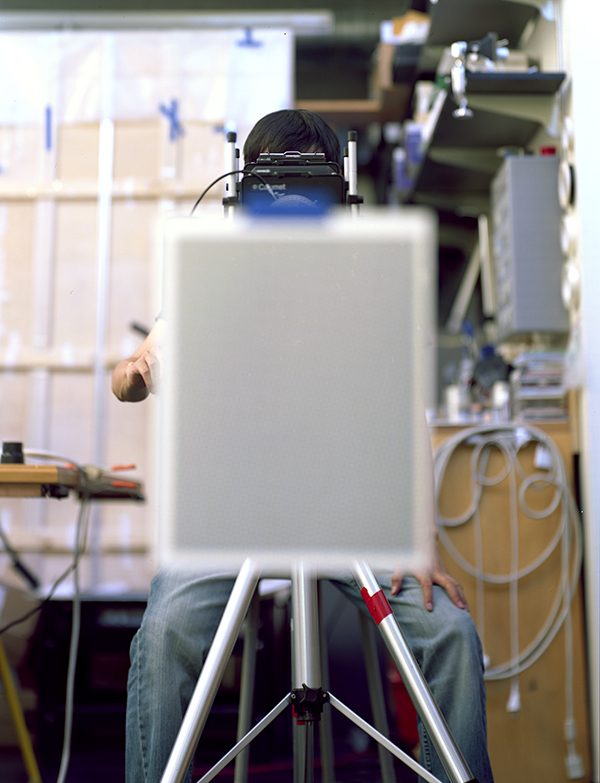 The viewer is asked to view the installation through the video camera. The piece explicitly acknowledges and makes it an issue for itself how the viewer's perception is constructed by asking the viewer to see and acknowledge the effects every element has on the final view/image. 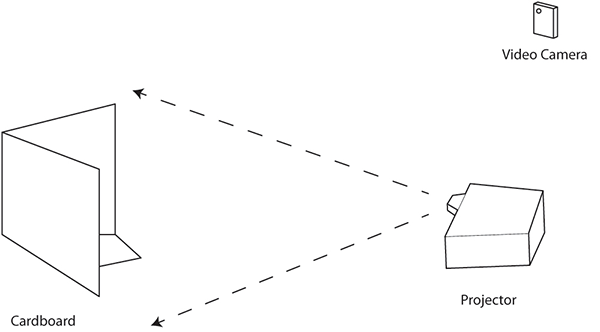 At first, the viewer only sees a cardboard with light being projected on and a video camera pointed towards the cardboard. The "aha moment" occurs when the viewer looks through the video camera which turns a mundane scene into an aesthetic experience. 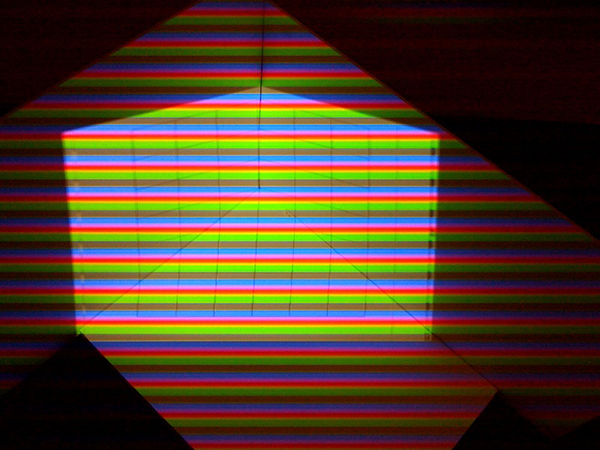 One sees the cardboard, the projected image of the grid, and the rolling rainbow banding effect moving horizontally or vertically introduced by the video camera (created when the frame rate and the refresh rate of the projector are out of synch) combined to create an abstract picture. 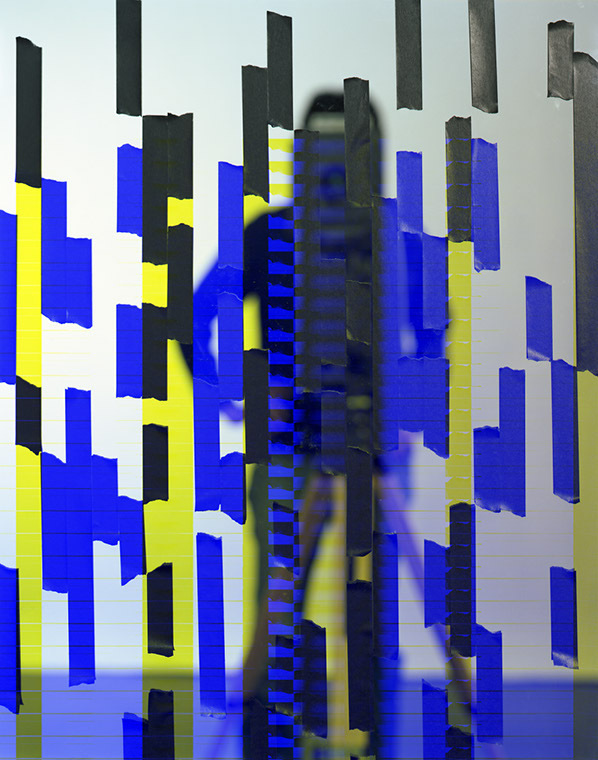 Upon seeing the abstract picture through the video camera, the viewer at last recognizes it as an aesthetic experience. It was made by a desire to create a piece that one had to see in person. Today most images produced are completely immaterial, captured on cell-phones and shared on social networking sites very rarely existing as an object. Photography has dislodged itself from its material substance and is about information and the transmission of information than anything else. If one can instantaneously download and view images that are art or of art, shouldn't we be asking ourselves "Why do we go see art, especially the photographic kind, anyway?" "A color video image of roses is projected onto faux roses that are spray painted white. 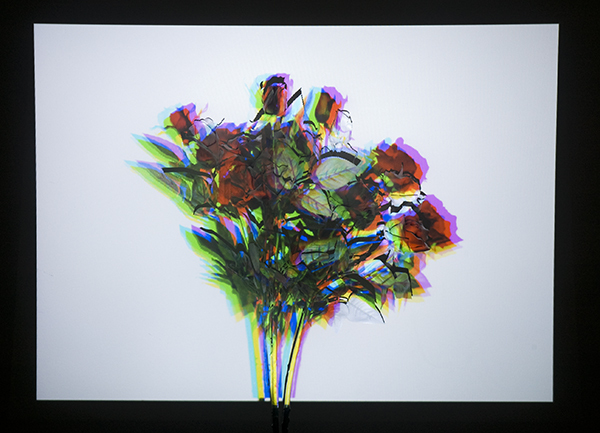 The projected image creates the impression that the roses are colored. Upon close inspection the viewer sees that the image is slightly misaligned with the object and recognizes the separation of image from form. Further, the projected image very slowly separates itself, just as it has from form, into three primary colors that constitute the image."